Most areas of the Southeast will see less than 1/2 inch of precipitation this week, with most of that falling next weekend. Calm, cool and dry weather are expected for most areas until then. 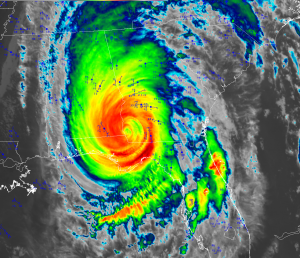 NOAA’s National Hurricane Center released their official report on Hurricane Michael today. 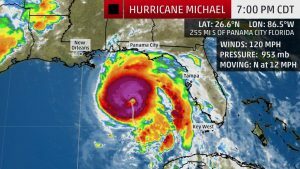 It officially notes that Michael was a Category 5 storm. The report includes a number of observations from the University of Georgia weather network as well as many other sensor networks. You can read it at https://www.nhc.noaa.gov/data/tcr/AL142018_Michael.pdf. Posted in Climate summaries, Tropical weather.